THE ONLY ONLINE COMPOSITION WRITING COURSE FOR LOWER PRIMARY (P1-P3) STUDENTS! 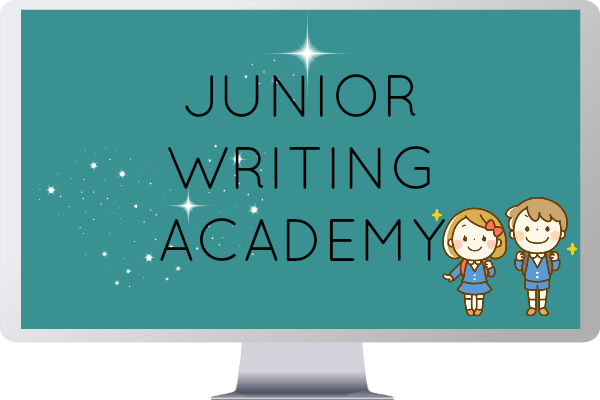 Junior Writing Academy is an online composition writing course specially designed for students from Primary 1 to 3. In this foundational composition writing course, lower primary students are taught the basics of composition writing. They learn how to plan and write a composition based on 4 related pictures. Students of the Junior Writing Academy complete two writing assignments per month. Assignments are marked by experienced former MOE teachers. Constructive feedback is provided to help students improve their writing. * Remove the hassle of travelling to attend writing classes. * Learn writing techniques and work on assignments at your convenient time and in the comfort of your home. * Receive constructive and detailed feedback on your writing assignments from an experienced former Primary School English teacher. * Develop the habit of writing regularly by completing the weekly writing assignments. * Receive more composition practices than what most schools are able to offer! *Please read this carefully before enrolling. The Junior Writing Academy is an online course that is suitable for lower primary students who want to learn the basics of writing compositions based on 4 sequential pictures. It is recommended for Primary 1 to 3 students who are writing English compositions based on 4 sequential pictures in school. If your child is in upper primary or writing the PSLE format compositions, he or she can join the Writing Academy for upper primary students HERE. Once you are enrolled, you will have instant access to the first month of video lessons and assignments (2 lessons). Thereafter, two brand new video lessons and assignments will be released each month. * Watch the video lessons. * Download and print out the assignments. * Scan and save completed assignments in PDF or type assignments in MS WORD. * Upload completed assignment for submission. * Assignments will be marked and returned to you via email within 5 working days. YOU CAN CANCEL YOUR SUBSCRIPTION ANYTIME BY LOGGING IN TO YOUR STUDENT DASHBOARD. ONCE YOU CANCEL THE SUBSCRIPTION, YOU WILL NOT BE BILLED AND ACCESS TO THE LESSONS WILL CEASE AFTER THE LAST BILLED MONTH. Module 3: Make Your Writing Vivid!